Brenda believes that occupational therapy is rooted in an appreciation of how people live their lives and what they like to do. For Brenda, the most important goal is to enhance the quality of life for clients by helping them increase their function and independence as they go about daily tasks at home, in the community, and in the workplace. To do this effectively Brenda understands and appreciates the diversity of the needs of her clients as they live, learn, work and play. With a warm and uniquely companionate attitude, Brenda uses a client centred approach to get to know each of her clients. Brenda believes in developing exclusive and creative solutions that are geared to achieve a maximum level of independence for clients to enhance their quality of life. Equally important, Brenda enjoys the team leadership that running a business allows and takes every opportunity to mentor therapists about the role of occupational therapy with various client populations. 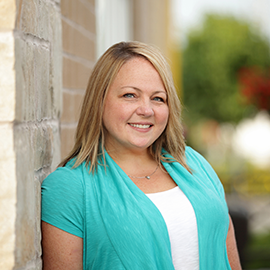 Brenda’s desire to help others led to a career in Occupational Therapy. Brenda obtained a Bachelor of Science (honours) degree from Memorial University of Newfoundland in her native Province of Newfoundland and Labrador. Brenda then completed a Bachelor of Science in Occupational Therapy degree from Dalhousie University in Nova Scotia. Graduating at the top of her class Brenda, was recognized on the Dean’s list for her academic achievements. Brenda continues to expand her education and knowledge of the occupational therapy by attending courses and professional seminars throughout each year. Brenda most enjoys providing cognitive and functional assessment and treatment of clients who have sustained traumatic brain injuries and has received training in numerous assessment and treatment techniques. She also has significant experience in assessment and treating orthopaedic injuries, soft tissue injuries, chronic pain, amputations, and psychological illnesses. In her spare time, Brenda enjoys spending time with her beautiful children and husband. They enjoy traveling, gardening, cooking, spending time at their cottage, and being in the great outdoors.